The Stevens aren’t as patient as other Australian bands like the Rolling Blackouts on their two albums they constantly jump from idea to idea and song to song, often moving on after only a minute or so. Their songs rarely feel like fragments, though—they’re all fully realized ideas, even if they only run for 70 seconds. That’s obviously unlike Rolling Blackouts, who tend to explore their songs for three or four minutes. They both have that Flying Nun approach to guitar pop, though, with intricate and tuneful guitar interplay and matter-of-fact vocals that might sound resigned but rarely feel dejected. 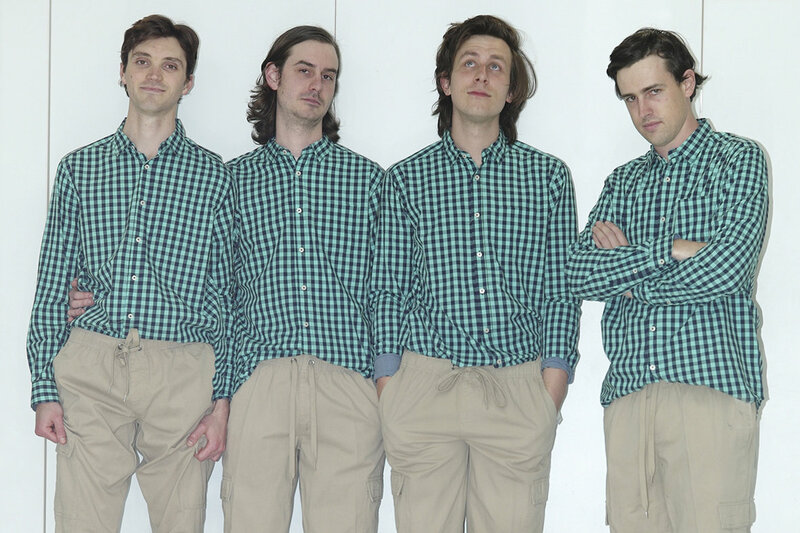 Melbourne scratchy pop favourites the Stevens return with their second album “Good”. Good picks up where their 2014 debut A History Of Hygiene left off – 18 short songs, alternately frenetic or laconic, packed with twists and hooks that merge lo-fi outsider songcraft with 70s prog wizardry and classic rock swagger.